Scroll down the page to see all items available and in stock. 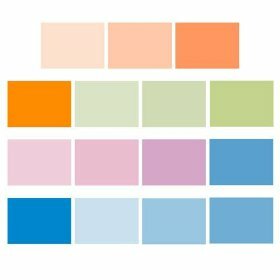 15 Sheets of various colours (yellow, orange, green, blue, red, etc) to experiment with. They are ideal for the lights used in most video productions. Rolls and sheets of individual color effects gels can be special ordered. 16 sheets of 12" x 12" Light Correction Filters. 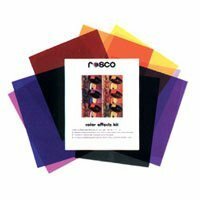 This kit permits the color correction of virtually all mixed-light sourcesand includes a range of blue and amber balancing filters along with a selection of green and magenta color compensating filters. These convert tungsten lights to daylight. These convert daylight to tungsten. Effective for Green colour corretion. 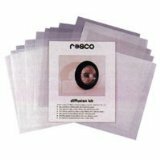 15 Sheets (12x12") sampling a variety of the diffusion gels available from the Rosco line. 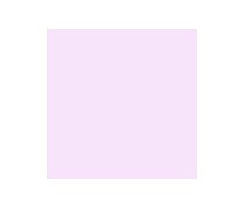 The kit includes 15 different pieces of diffusion in 20x24" sheets. Includes one sheet each of Tough Rolux, Tough Spun, Light Tough Spun, 1/4 Tough Spun, Tough Frost, Light Tough Frost, Opal Tough Frost, Light Opal Tough Frost, Tough Silk, Light Tough Silk, Tough White Diffusion, 1/2 Tough White Diffusion, Light Tough Rolux, and Power Frost. Changes ellipsoidal into flood or scoop. A moderate diffuser with properties similar to tracing paper. Creates an even field of soft light with minimal color temperature shift.